^ 1.0 1.1 1.2 1.3 Sandomir, Richard. Vesna Vulovic, Flight Attendant Who Survived Jetliner Blast, Dies at 66. The New York Times. 2016-12-28 [2017-08-09]. （原始内容存档于2017-08-10） （英语）. ^ 2.0 2.1 Vesna Vulovic, air stewardess who survived a plane crash – obituary. The Daily Telegraph. 2017-01-03 [2017-08-09]. （原始内容存档于2017-08-10）. （英语）. ^ 3.00 3.01 3.02 3.03 3.04 3.05 3.06 3.07 3.08 3.09 3.10 3.11 Vesna Vulovic: How to survive a bombing at 33,000 feet. Aviation Security Magazine. 2002-04 [2017-08-09]. （原始内容存档于2017-08-10） （英语）. ^ 4.0 4.1 4.2 Souhrnná Zpráva (PDF). Zpráva vydaná komisí Federálního ministerstva dopravy ČCSR. 19 June 1972 [2017-08-09]. （原始内容 (PDF)存档于2014-09-16） （捷克语）. ^ 5.00 5.01 5.02 5.03 5.04 5.05 5.06 5.07 5.08 5.09 5.10 5.11 5.12 Bilefsky, Dan. Serbia’s Most Famous Survivor Fears That Recent History Will Repeat Itself. The New York Times. 2008-04-26 [2017-08-09]. （原始内容存档于2017-08-10） （英语）. ^ 6.0 6.1 White, Colin. Projectile Dynamics in Sport: Principles and Applications. London, England: Routledge. 2010: 305. ISBN 978-1-13402-762-0 （英语）. ^ 7.0 7.1 7.2 Vesna Vulovic, stewardess who survived 33,000ft fall, dies. BBC News. 2016-12-24 [2017-08-09]. （原始内容存档于2017-07-24） （英语）. ^ 8.0 8.1 8.2 8.3 Highest fall survived without parachute. Guinness World Records. [2017-08-09]. （原始内容存档于2017-08-10） （英语）. ^ Girl who fell 31,000 feet will survive. Irish Times. 1972-02-02 [2018-02-02]. （原始内容存档于2018-04-26） （英语）. ^ Veselinović, S. Sreća pobedila nesreću. Radio Television of Serbia. 1973-04 [2018-01-24]. （原始内容存档于2018-01-25） （塞尔维亚-克罗地亚语）. ^ 11.0 11.1 11.2 Graham, Ruth. Bask in the Bracing Unsentimentality of Vesna Vulovic, the Only Person to Survive a 1972 Plane Crash. Slate. 2016-12-29 [2017-08-09]. （原始内容存档于2017-08-10） （英语）. ^ Pluchinsky, Dennis. Ethnic Terrorism: Themes and Variations. (编) Tan, Andrew T.H. Politics of Terrorism: A Survey. London, England: Routledge. 2010: 49. ISBN 978-1-13683-336-6 （英语）. ^ Rebić, Đuro. Špijuni, diverzanti, teroristi: Ostaci kontrarevolucije u Jugoslaviji. Zagreb, Yugoslavia: Centar za informacije i publicitet. 1987: 354. ISBN 978-8-67125-009-2 （塞尔维亚-克罗地亚语）. 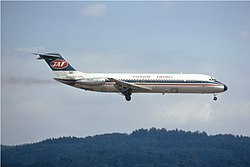 ^ 14.0 14.1 Njemački mediji o slučaju JAT 1972: Napad hrvatske emigracije je plod mašte tajnih službi. Slobodna Dalmacija. 2009-01-09 [2017-08-09]. （原始内容存档于2017-08-10） （克罗地亚语）. ^ Official Abstract of the Final Report (English) (PDF). Czechoslovak Civil Aviation Authority: 6. [2017-08-23]. （原始内容 (PDF)存档于2014-09-16） （捷克语）. ^ Fate or fluke? Air crash sole survivors. CNN. 2010-05-13 [2018-02-01]. （原始内容存档于2017-08-23） （英语）. ^ Krajčinović, Dušan. 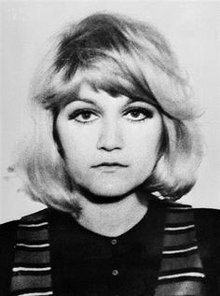 Kako je Vesna Vulović preživela avionsku nesreću nad Čehoslovačkom '72: Čudo nije bila prava reč. Radio Television of Serbia. 1979-06 [2018-03-16]. （原始内容存档于2018-03-17） （塞尔维亚-克罗地亚语）. ^ 18.0 18.1 18.2 Connolly, Kate. Woman Who Fell to Earth: Was Air Crash Survivor's Record Just Propaganda?. The Guardian. 2009-01-13 [2017-08-09]. （原始内容存档于2017-08-10） （英语）. ^ 19.0 19.1 19.2 19.3 19.4 Optimizmu padobran ne treba. Večernji list. 2005-06-04 [2018-02-01]. （原始内容存档于2018-02-02） （克罗地亚语）. ^ Preminula stjuardesa Vesna Vulović. Radio Television of Serbia. 2016-12-24 [2018-02-07]. （原始内容存档于2018-02-08） （塞尔维亚语）. ^ Sestřelení jugoslávského letadla Čechy by se neutajilo, míní pamětník od radaru. 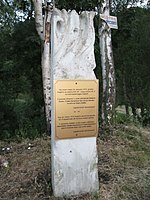 Zprávy iDNES. 2009-01-15 [2017-08-09]. （原始内容存档于2017-08-10） （捷克语）. ^ Remembering Vesna Vulović, flight attendant who survived 10,000-metre fall from plane. CBC. 2016-12-28 [2017-08-09]. （原始内容存档于2017-08-04） （英语）. ^ 23.0 23.1 23.2 Zimonjic, Vesna. Too good to be true? Miracle woman who survived '33,000ft fall'. The Independent. 2012-01-26 [2017-08-09]. （原始内容存档于2017-08-10） （英语）. ^ Olsen, Camilla Westersø. Stewardesse overlevede fald på 10.000 meter. DR Forsiden. [2017-08-09]. （原始内容存档于2017-08-10） （丹麦语）. ^ Homolová, Marie. Letuška Vesna spadla z nebe u Děčína. OnaDnes.cz. 2007-01-29 [2017-08-09]. （原始内容存档于2017-08-10） （捷克语）. ^ Brat Vesne Vulović: Još sam u šoku. Večernje novosti. 2016-12-24 [2017-08-09]. （原始内容存档于2017-09-21） （塞尔维亚语）. ^ Sahranjena legendarna stjuardesa koja je preživela pad sa 10 hiljada metara. Večernje novosti. 2016-12-27 [2017-08-09]. （原始内容存档于2017-06-20） （塞尔维亚语）.